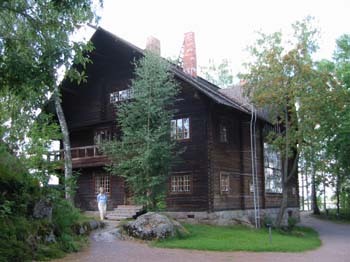 This is Haloseniemi, the home of Pekka Halonen a very good Finnish artist. He was a buddy of Sibelius. I don't know who the woman in the picture is, but she was a German and wouldn't go away!